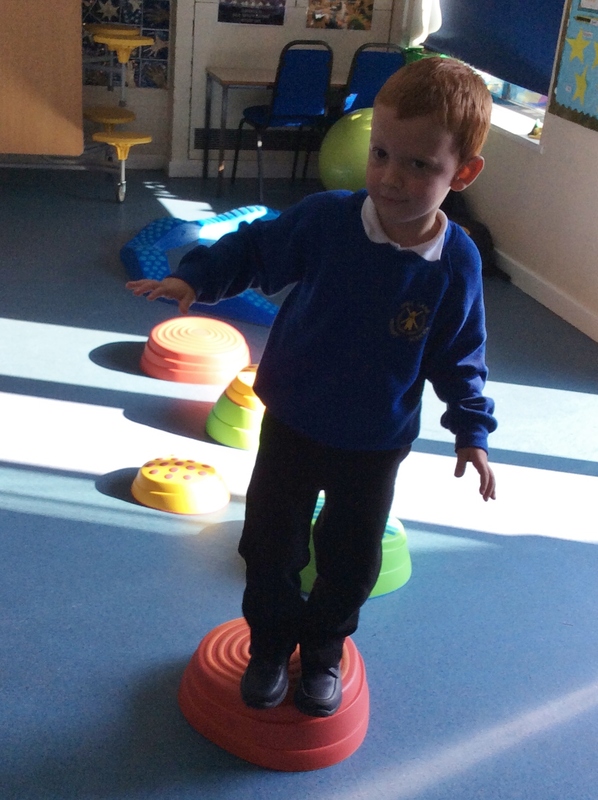 Occupational therapy (OT) activities focus on helping children with physical, sensory, or cognitive delay or impairment to ‘catch up’ to age expected development. 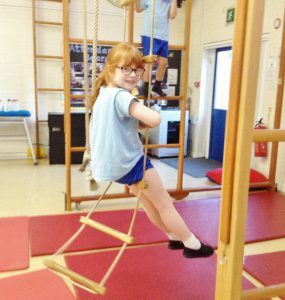 OT aims to improve children’s fundamental movement skills, cognitive, physical, sensory, and motor skills and enhance their self-esteem and sense of accomplishment. 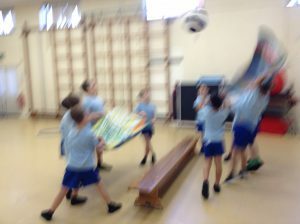 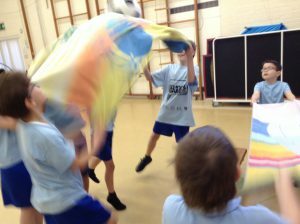 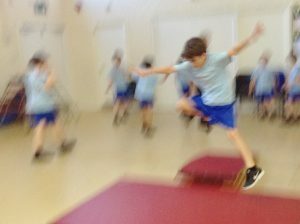 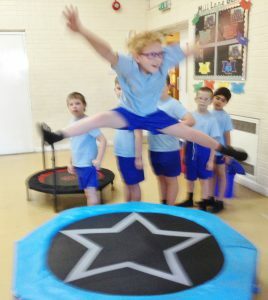 Our pupils with over-sensitivity, under-sensitivity, physical, sensory or cognitive delays experience difficulty in paying attention, movements, are distracted by noise and find break times confusing. 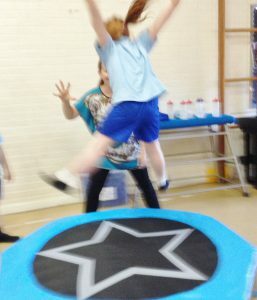 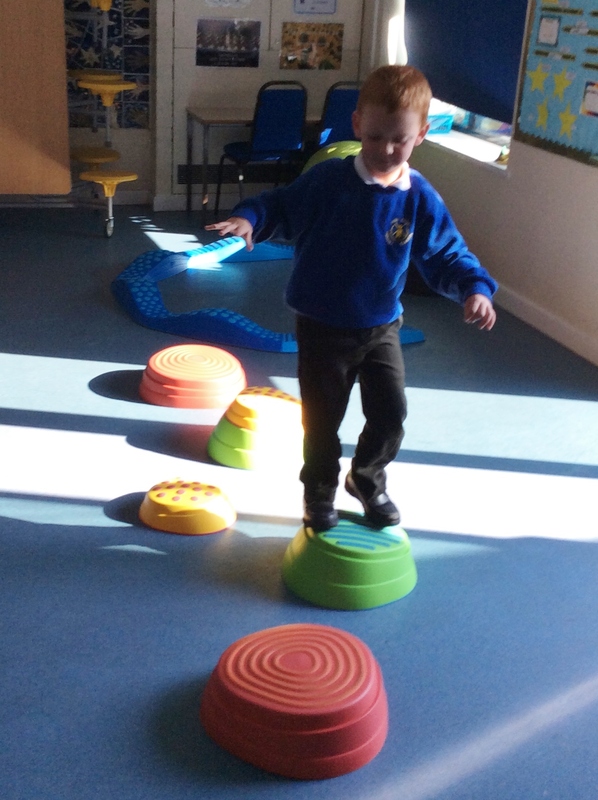 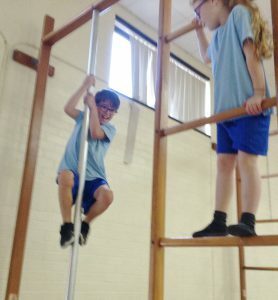 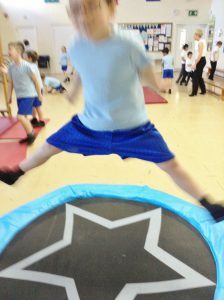 Our OT equipment is helping these pupils develop awareness and co-ordination skills and address barriers and issues in a safe and supportive environment. 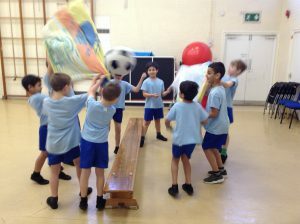 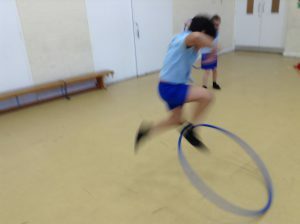 The School Games participation vision is that PE and Sport is delivered in a Round Robin System – to ensure all our children are engaged at all times. 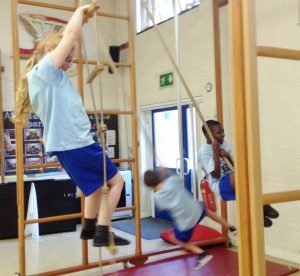 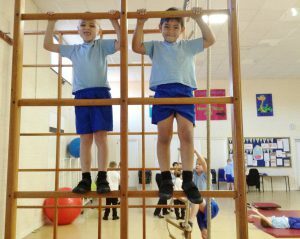 Our School SENCO is highly vigilant, identifying any child requiring early intervention and ensuring intervention is timetabled and monitored. 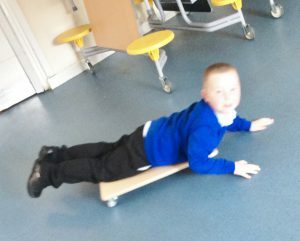 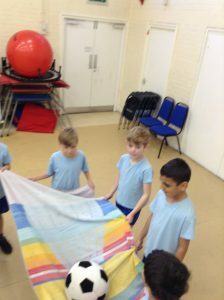 Activities include sensory integration activities, coordination activities, visual perception activities, fine and gross motor activities that equip the pupil with a ‘tool kit’ to greater meander through a world that can seem very confusing to them. 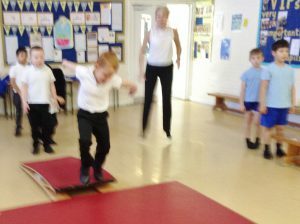 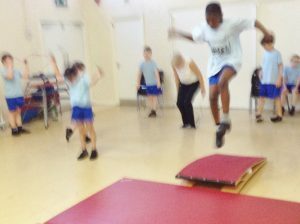 Measureable individual balance, focus and behaviour improvement. Observable greater sense of behavioural individual locus of control, competency, self-esteem, and mental well-being.